What is the most effective dobro simulator for pedal steel ? I would like to make a pretty useless comment, but if you have the time to read such things, then proceed. I was at Scotty's convention at the Goodrich booth when they were showing the prototype of the Match Bro. At the end of the convention I went over to their booth and told them I wanted to buy the proto-type. They said, look, it's got paper stickers labeling the controls, don't you want to wait until they are in production with the lettering screened on. I said the paper sticker didn't bother me. I said I wanted to be the first one to own one. They said I was 2nd, that Buddy Emmons had the first proto-type. I liked it just fine. You do need the special plastic bar to get the dobro sound. I only sold it because I was expecting to play the same things dobro players played and to sound exactly like them. I was pretty new to steel at the time and didn't realize I couldn't do that without having the same tuning as a dobro, so I sold it. If I only had known then what I know now, I would never have sold it. ...left my "Babe Ruth" autographed baseball within reach of my two little brothers. I have an original model MatchBro and a Bradshaw model. They are both good but I give the edge to the original model MatchBro. If my MatchBro dies (again) I will start using the Bradshaw model. But, you have to think "Dobro" when using them, not just use it as another effect. I've got some short samples. E-mail me and I'll send them to you. Tom Bradshaw has the samples and is going to put them on his web site. The Fishman Aura Jerry Douglas is meant to be a preamp pedal for dobro, and it's fantastic for that, but it also works amazingly well as a dobro simulator. I use it all the time on steel and also lap steel. You have 14 different presets, or emulations, and they all come from different studio microphones used on an actual dobro. Just put the blend knob to max and voilà! You could put a ukulele in there and it would still sound like a dobro. It's not cheap, but if you play actual dobro live from time to time, it's a solid investment. I've always felt that answers about this exact application have been evasive. I totally get that the unit was designed to be used with a reso-guit with a dedicated, properly installed pickup. But I've never seen a good answer to the question of how well it will work without that pickup, with a different input. The answer is always "it won't give you the excellent results it was designed to produce". So this is good to know. I am a fan of the Goodrich MatchBro but now I know that this is an option. Here's a recording I did a while back of my poor beginner playing through a Boss GE-7 with the staggered slider trick into the Jerry Douglas Aura both of which I had for other applications. I found later that the GE-7 was more or less superfluous and you do not want to cut the highest band. In fact, PSG generally doesn't product much above 5k or so, while a dobro while go all the way up to 20k hertz. There's no real way around that and the Aura pedal doesn't really add it back in. Maybe some sort of exciter then to the Aura pedal. It would be an interesting experiment. This is what it is, but I'm sure it could be made better. 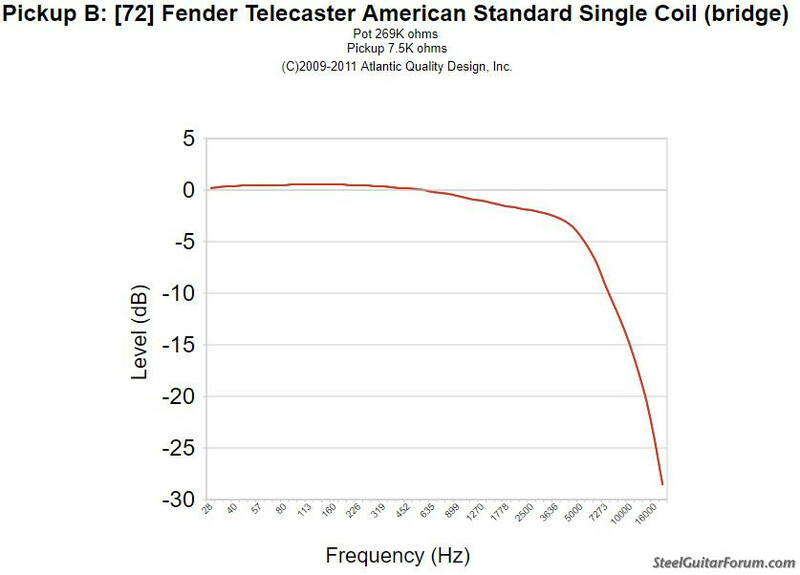 How can a dobro produce higher frequencies than a pedal steel? The tuning isn't that much different along with the scale lengths. I agree with John Macy. The best dobro simulator I’ve ever used is the Telonics amp built-in one. I broke it out on a recent gig and it turned the heads of my bandmates. They couldn’t figure out where the dobro sound was coming for a few seconds. Just the way magnetic pickups work I guess. I've compared the frequency graph of both. Electric guitars don't get much above 5k either. A little but not as much as a real acoustic instrument through a quality mic. While they can produce pretty much the same notes, the frequency content is different. Harmonic overtones, whatever you want to call them. I didn't make it up. I measured with software. Pretty easy to do. You won't find many brighter pickups than this one. This isn't my measurement. You mean frequencies only a dog can hear. No, those dogs-only frequencies for guys our age are well above 10-12k and you're right they don't matter as much. Between 5k and 12k though is the sparkle of your dobro, acoustic guitar, human voice, etc. It's damned important for getting those types of instruments to sit above the rhythm section (bass, drums, electric guitar) in a mix. For instruments with magnetic pickups this is the ice pick in the ear range. That might be why it's rolled off. It's not just the pickups that help roll off, but guitar amps and speakers typically roll off around 5k too. Not sure with PSG amps as I don't actually own one. This is Jerry Douglas, solo. As far as the notching, you can see that you need one at about 400 Hz and it's also safe to have a notch at around 100. The Boss GE-7 isn't capable of the right kind of notching up higher I think, but I do know you don't want to drop that top slider on that pedal when you stagger them. In the sound clip I linked to above, I made that mistake. In reality though, that top slider is at 8k and actually doesn't make as much difference up or down as you would think, just because there is little frequency content there to boost or cut from your PSG. 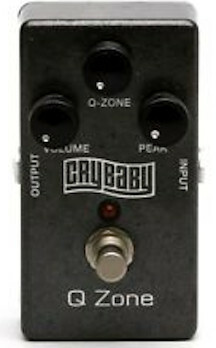 I use a Dunlop Q zone pedal. Dunlop,no longer makes these, but there are always a few for sale on E-bay. Mine is hard-wired into the powered effects loop in my Steelaire.